Selling the use, not the product! Behind this simplified slogan the functional service economy is an economic model based on the development of solutions that combine service guarantees and the functions provided to the user for material goods belonging to the producer. Ensuring simple, safe kilometres, and not selling tyres, etc. Economic exchange is no longer based on the transfer of ownership of goods, which remain the property of the producer throughout their life cycle, but on users consenting to pay for value-in-use (or to contractualize performance-in-use). The functional service economy model is, on many levels, part of the regional strategy of the Rhône-Alpes region. One of the seven pillars of circular economy, it is written into the regional roadmap on circular economy. Spurred on by CIRIDD and others involved in the CLEF Club, the regional area has been home to experiments on this subject since 2011 and is now one of the three leading French regions working on this model (with the regions Nord Pas de Calais et Provence Alpes Côte d’Azur). But the functional service economy is also part of the Stratégie Régionale d’Innovation - Spécialisation Intelligente (Regional Innovation Strategy - Smart Specialisation) - SRI SIespecially for innovation driven by use. With an initial focus on the Loire department, the initiative helps sustain innovative approaches already under way based on uses, lifecycle management, reuse, product service systems and the functional service economy. The approach is an incentive to adopt an economic development model in keeping with regional assets and strengthens synergies with European policies for research and innovation for the Europe 2020 strategy for "smart, sustainable and inclusive growth". 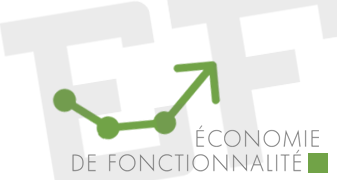 The functional service economy is also involved in creating, relocating or maintaining jobs in a local economy, one of the three central lines of the strategy of the Stratégie Régionale de Développement Économique et d’Innovation (Regional Strategy for Economic Development and Innovation) and many examples come under Social economy. Following initial collective action, CIRIDD decided to create a club in order to keep the momentum going. 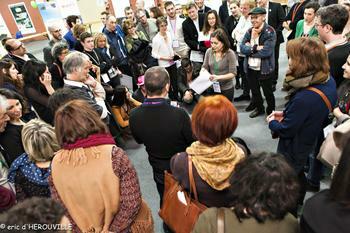 This club was Officially launched by CIRIDD on September 27, 2011 at the Cité du Design as the Club d’acteurs pour une Économie de Fonctionnalité (Functional service economy club) - CLEF . It aims to bring together all entities with an interest in the deployment of the functional service economy in Auvergne Rhône-Alpes and to support companies that engage in it. 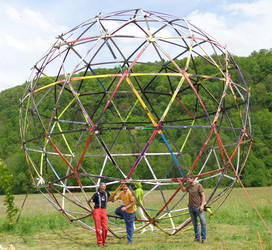 The initial regional scope of the CLEF Club is the future Auvergne Rhône-Alpes region. The CLEF Club aims to coordinate and implement collective work with its members to promote companies' transition towards this model and enhance regional deployment of the functional service economy. Thanks to the diversity and the commitment of local people, companies' approach to the functional service economy gives rise to a range of activities from basic research to funding business innovation projects. The Innovation Industrielle Durable par la Servicisation project (Sustainable industrial innovation through servitization) - ServINNOV - is a basic research project, which aims to study one of the current transitions of industrial companies towards integrating multiple service activities within innovation and production processes that have been traditionally focused more on the production of material goods. Following its Service durable (Sustainable service) initiative, the competitiveness cluster ViaMéca has created a theme called ngéniérie des Usages et des Services (Uses and services engineering) in its Phase III roadmap. It labels projects that are part of this theme. Other competitiveness clusters could learn from this approach. Cité du design, an expert in innovation driven by use and Living Lab (a living and experimentation space), have developed methodological tools and project owner assistance to help businesses in the field of innovation driven by use. Another example: as part of the Designer en résidence (Designer in residence) call for projects funded by DGCIS, ViaMéca is currently employing a designer with the objective of developing design as a vector for growth and performance in mechanical engineering companies in the ViaMéca area. In 2013-2014, with support from the Rhône-Alpes Region, CIRIDD ran a pilot action. It was about experimenting with a support methodology to encourage the functional service economy (NOVUS), with five SMEs in the region. 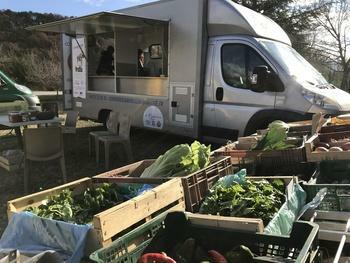 Based on this successful experiment, CIRIDD launched collective action called Rhône-Alpes Essaimer L’Innovation par l’économie de fonctionnalité (Rhône-Alpes Swarming: Innovation through the functional service economy) - ReliEF, with support from ADEME, the Rhône-Alpes region and Europe (ERDF), to provide support for 12 businesses in the region with an enhanced version of the methodology. The Rhône-Alpes Region and Bpifrance, a French public investment bank, have launched the Fonds d'innovation Rhône-Alpes (Rhône-Alpes innovation fund) - FIRA With almost 70 million euros, this initiative aims to fund innovative projects by regional SMEs. Fostering growth, competitiveness and market access are the goals of the partners, including the European Union which is co-financing FIRA under the European Regional Development Fund (ERDF). Through zero interest loans ranging from €50,000 to €1 million, FIRA helps develop different types of innovation: by use, social innovation, marketing innovation or eco-innovation. This fund may also be called upon for making the transition from an activity to the functional service economy. In addition, ADEME's environment officers provide support for company directors in putting together projects to reduce the environmental impact of their businesses. It involves producing an environmental inventory (up to the point of carrying out a confidential pre-diagnosis) leading to an action plan to improve the company's environmental performance. This action plan may include the transition to the functional service economy.